Five years, eight months, 12 days and counting. 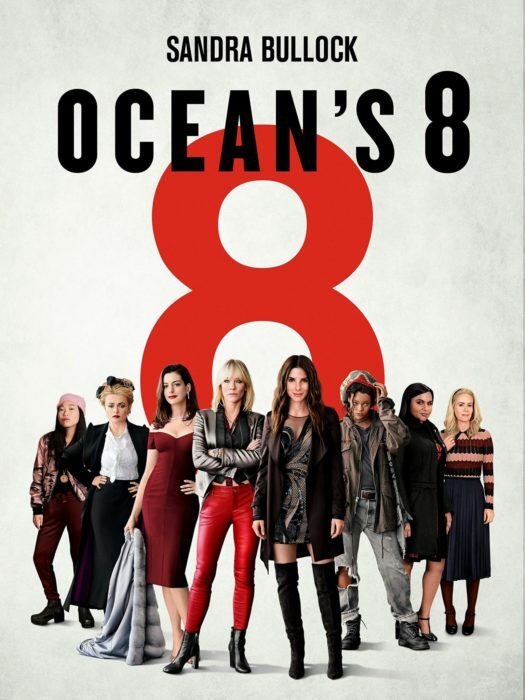 This is how long Debbie Ocean has been planning the biggest heist of her life in the movie Oceans 8, part of the Ocean’s trilogy. The thriller mystery was released in theatres in the U.S on June 5, 2018, and has received both negative and positive reviews. Carrying Steven Soderbergh’s Ocean’s Trilogy, the film is about a women known as Debbie Ocean who has been let out of prison and has a big scheme in mind. She has planned and formed a heist of women to steal a million-dollar necklace from the Met Gala. The film stars Sandra Bullock as Debbie Ocean, as well as actresses Cate Blanchett, Mindy Kaling, Rihanna Anne Hathaway and more. Some critics find the film to lack interesting scenes, and say some of the characters are annoying, however, many disagree. Many positive reviews say that the film truly shows the power women can do together, as a group of women get together and do the impossible to steal a necklace. Overall the film is a must watch, that will not only make you laugh, but keep you well entertained and smile and the relationship and bonds formed by the women.